In order to set up your account, we kindly first ask you to provide a number of details. All your information will be kept in confidentiality. Do not hesitate to rearch us if you have any questions. WeChat Pay is the payment brand of Tencent, which provides multiple payment options such as WeChat Account payment, APP payment, QR-code payment and card payment etc. 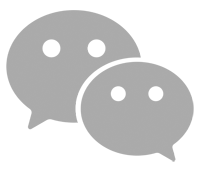 Combined with WeChat Official Account, WeChat Pay is one of the major contributors to the revolution of O2O Commerce, offering a professional solution kit to the Internet industry along the way. Daily active users exceed 900 million. The global trading amount in 2017 reaches 1,3 trillion USD. Yaband Pay has integrated WeChat Pay and Alipay into a complete payment solution package, including online payment, in-store payment, App payment, QR code payment etc. YabandPay plugins are available at Magento, Ecshop, Woocommerce and OpenCart. Possess the finnancial license under the supervision of ECB (European Central Bank). The license was issued by DNB (De Nederlandsche Bank), based on the European Payment Services Directive (2007/64 / EC), as well as the official partner of WeChat Pay and Alipay in 23 countries of Europe. Not only payment, YabandPay also provides free marketing promotion service from WeChat Pay and Alipay official, which includes free material , red envelop, Alipay App exposure, WeChat Mini-programe exposure and the other official marketing support from them. The video below reachs over 5 million views. The settlement funds are monitored by DNB independently, which means your funds are kept in utmost safety. The transaction records are accredited by tax offices of EU States. Short settlement period : T+1, the merchant can get the funds soonest within 12 hours. Our professional technical engineers will assist you one-on-one with the setup of online and offline platforms, and integrate them into your current payment system. 7*24 exclusive customer support. We respond to your questions and handle accordingly with the fastest speed. Professional technical team and super efficient service. The entire cooperation experience is very pleasant. Their professional service, as well as their costant pursuit to obtain customer satisfaction, has really contributed to our good partnership. Yaband can always handle every detail precisely when faced with multi-language project. They haven shown outstanding working capability and ethic. We totally trust Yaband during our cooperation which lasts one year and half. They have definitely opened up the Chinese market for us. Without their perfect execution of all the promotion plans, we cannot imagine we'll be finally able to penetrate into the Chinese market. We'd like to strongly recommend Yaband as our trustworthy partner. Subscribe our newsletter and keep updated with the newest trend in Dutch digital new media industry. Yaband Media is fully financed and operated by Yaband Telecom B.V. It is the official partner of WeChat Pay and Alipay in Europe and wholly owns and operates the largest Chinese media platform in the Netherlands – Dutchcn.com. Yaband Media is committed to providing European companies with a full range of digital marketing solutions and one-stop mobile payment services. Yaband Media is a leader in digital media field in the Netherlands and is currently serving hundreds of European companies including de Bijenkorf, Airport Schiphol and Brussels National Airport. WeChat Pay takes you to all the Joy in Dutch Instafamous Shops! 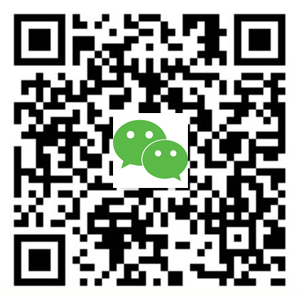 What is WeChat overseas Payment? What are the differences from traditional WeChat Pay? Yaband Pay presents the answers here. YaBand Media has officially launched WeChat Pay in the Netherlands, providing all-round solutions to transboundary payment from CNY to EUR.